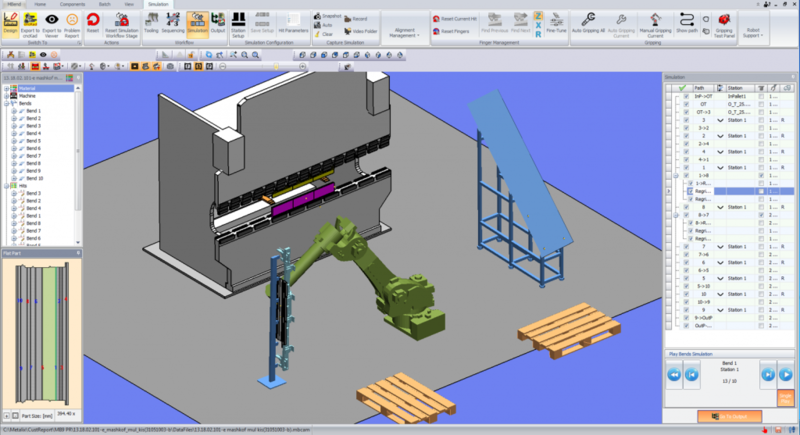 as well as import new components. Once you select your cell’s elements, you can position them according to the physical layout of your cell. You can also use MRobot to configure your cell layout, testing the validity of different positions for the various elements of the cell. 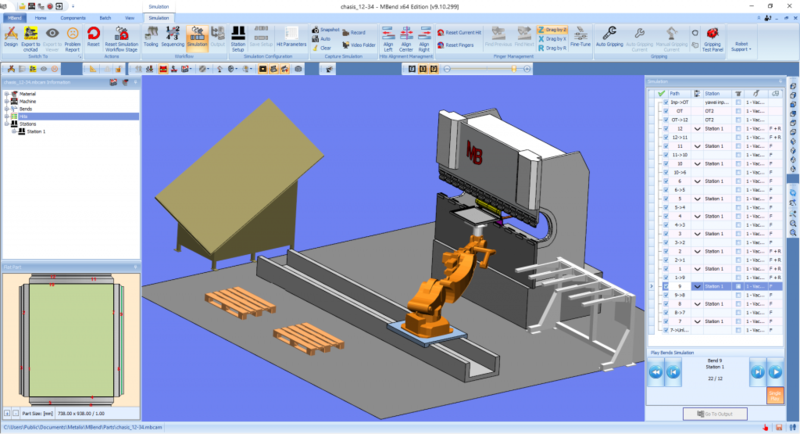 MRobot is currently compatible with Kuka® and Yaskawa® robots, with more under development. 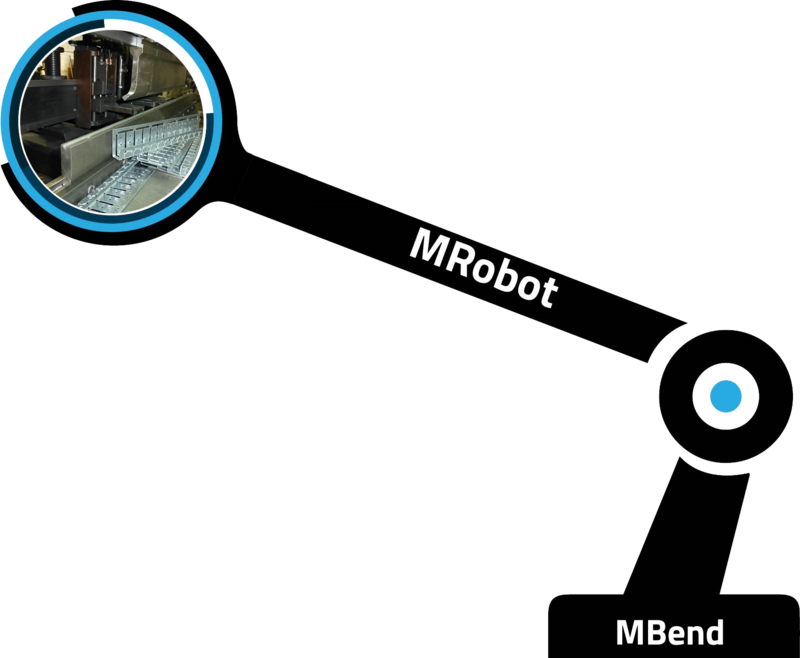 As an extension to the MBend software, these robots can interface with most press brakes, allowing great flexibility in cell management.